I have witnessed the beauty of a goddess. That is all I can say. 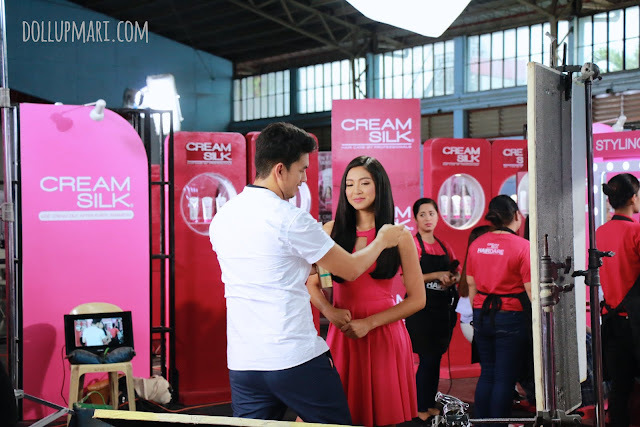 This is why I was soooo giddy in my first week of internship because one of the things I learned was that Nadine Lustre was the new Cream Silk girl, and that the shoot was going to be within the time of my internship. Perhaps the best invitation I have ever received my whole life is my boss' invitation that I come and experience the shoot. So yeah, please bathe in all the nice photos I took hee hee. When I get to the school (it's a school in the depths of Pasig), the funniest thing happened because word already got out at the time that Nadine Lustre was in their school, and when I got off of our car some students were screaming thinking that I was Nadine. Plzz, people, Nadine came 2 hours earlier than I. People think that stars have it all easy, but this shoot made me realize otherwise. 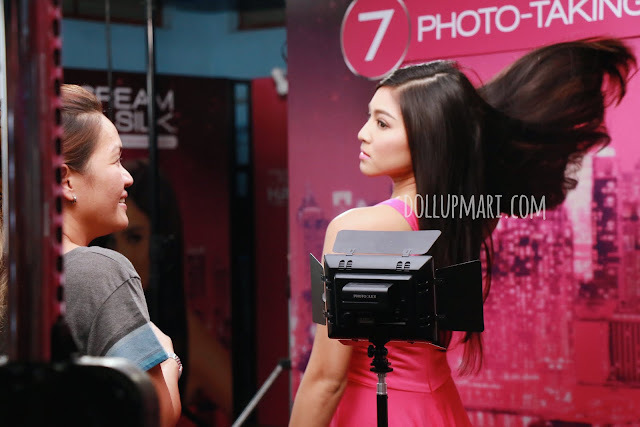 Nadine had to come 7AM, and when she arrived, she was already whisked to have her hair and makeup done. And the moment she got out of the makeup chair, it was already shooting time. Her makeup artist and her hairstylist are to be applauded because they are able to endure long hours of working alongside Nadine. Her glam squad retouches her hair and makeup every few takes and have to be on standby. Another amusing character of this shoot is assistant director Ikay (or Egay I'm not exactly sure what her name is). 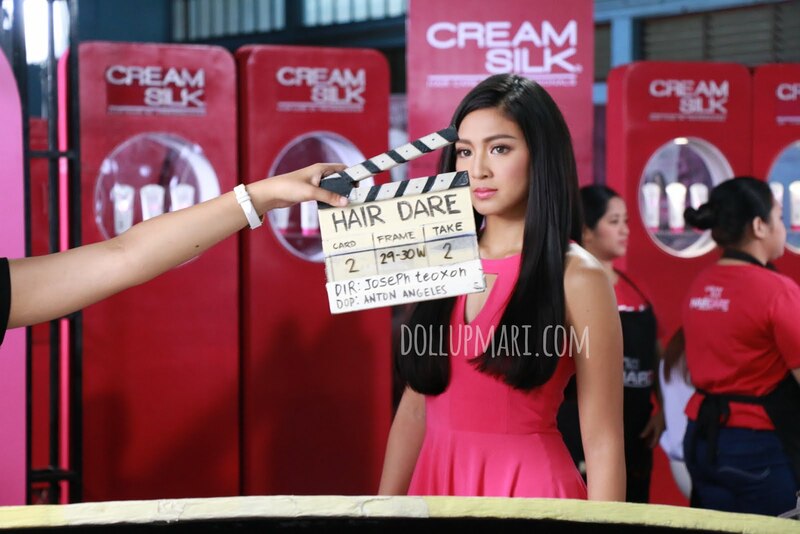 A lot of times during test takes she is the one acting as Nadine and it's just so cute to watch. 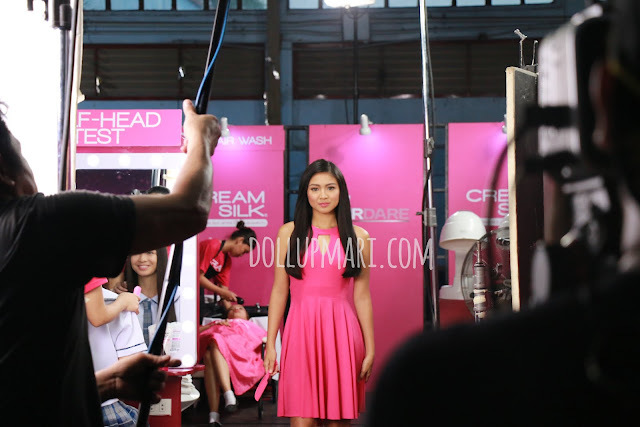 And as seen here, Nadine is very obedient towards the director. She consults with the director on what to do. Her hairstylist needs to brush her hair often because the set up is just so hot. The lights are of a special kind, and while it's definitely not the kind of lamps you see to heat foods in buffets, it's still very hot underneath it. 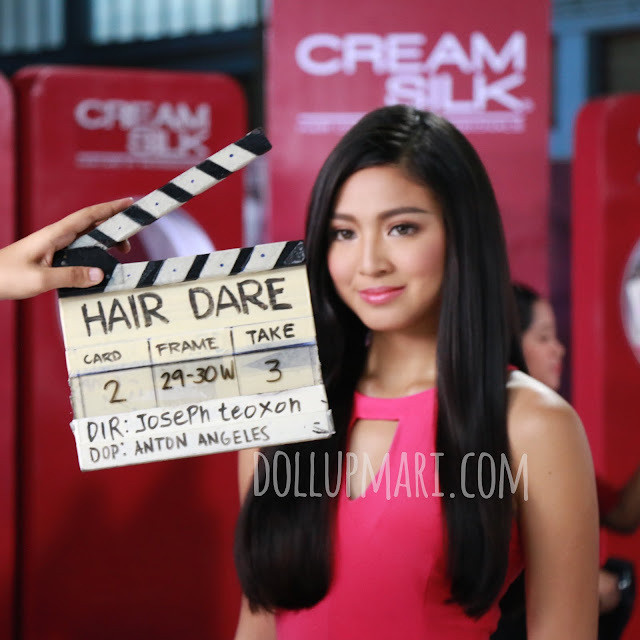 Nadine just has this miraculous face that does not sweat even under such conditions hahaha. They are just so cute when they practice hahahaha. Assistant director is the best. Observing them for 12 hours also made me realize why Nadine's glam squad is able to work long hours with her. She frequently jokes to her glam squad, and she always laughs with them. These people work with her on most, if not all, of her shoots, and you can see that they not only have a working relationship but they also have real friendships. Too cute I can't even. And being the singer that she is, during the shoot's portions where people could make noise (like it'd get dubbed over or something), she whipped out her phone and played music. 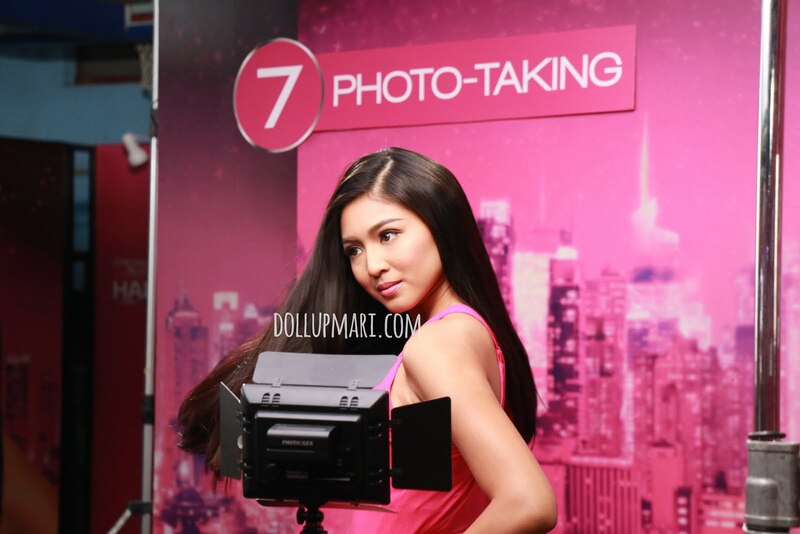 Before the shoot, I was already in favor of having her as the newest Cream Silk girl. 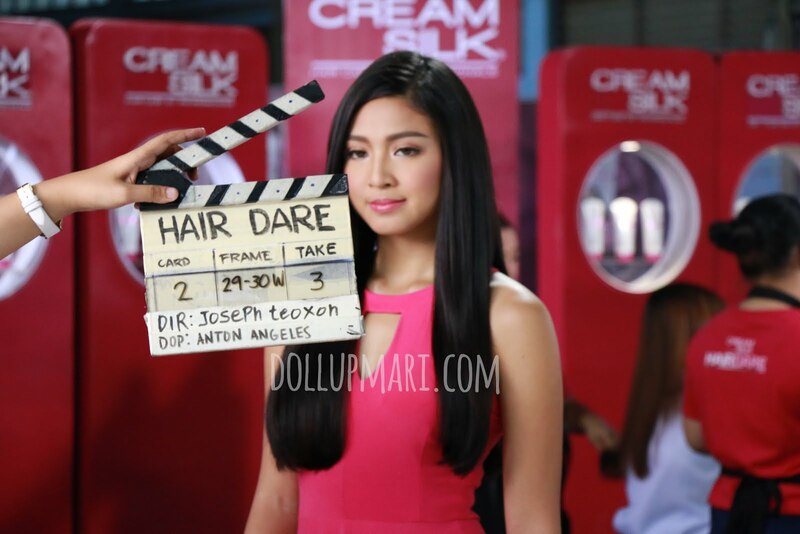 But the shoot made me see new reasons why she is meant to be the new Cream Silk girl. For one, she's universally relatable. She laughs and jokes often between takes. When my boss offered her Starbucks, she was like 'Yaaay STAR-BUHCKS!!!' 'GREEN TEA FRAPPE PLZZZ!!!' A true Cream Silk girl should confident, limitless, and unstoppable, and if you ask me, universally lovable, too. She embodies all four traits. Another is that she's very hardworking. She was there at 7:30AM, and left the place at about 10PM. After hair and makeup she only stopped working for snacktime and dinnertime, and worked diligently. 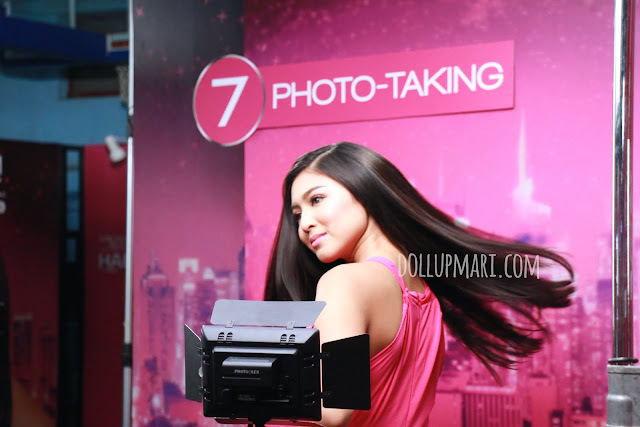 The shoot was on a Sunday and I heard she even had On The Wings of Love taping the next day. No dream is too big for a World Class Filipina and I know she's one of them. And yes, let us not forget the main reason why the shoot even happened! Don't forget to share the video on Twitter (remember, it's only valid if you share it on Twitter! 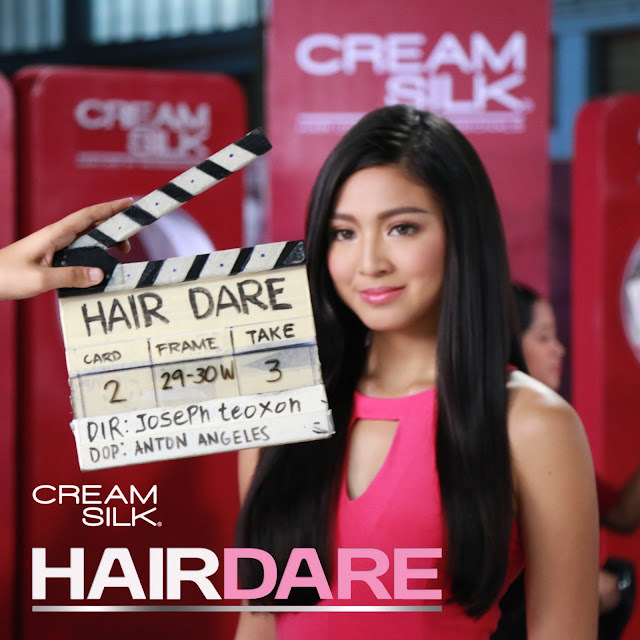 ), to let Nadine Lustre bring Hair Dare to your school!